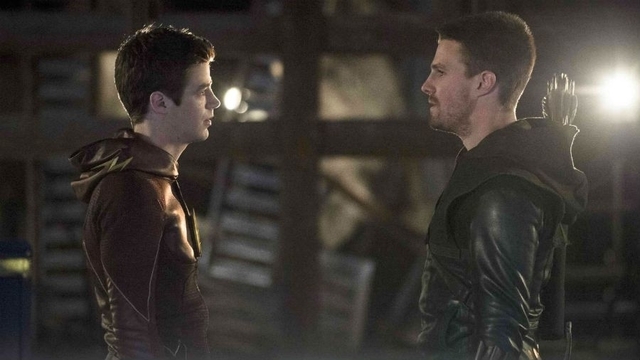 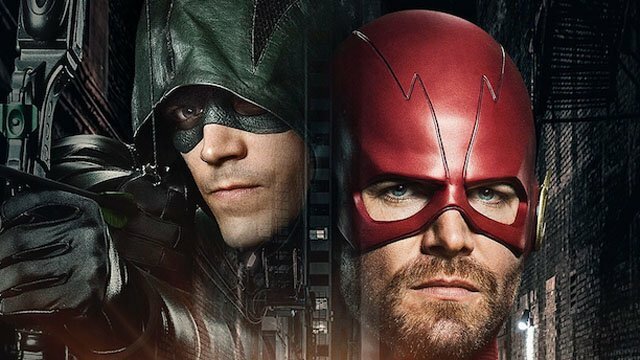 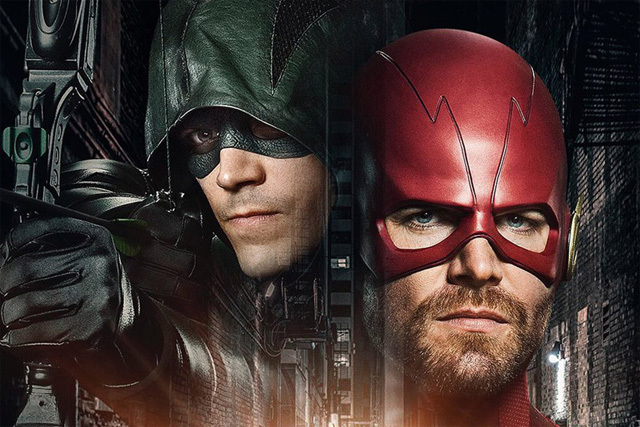 Grant Gustin and Stephen Amell are swapping heroic identities in the Elseworlds crossover, and now they’ve been spotted in their respective costumes! 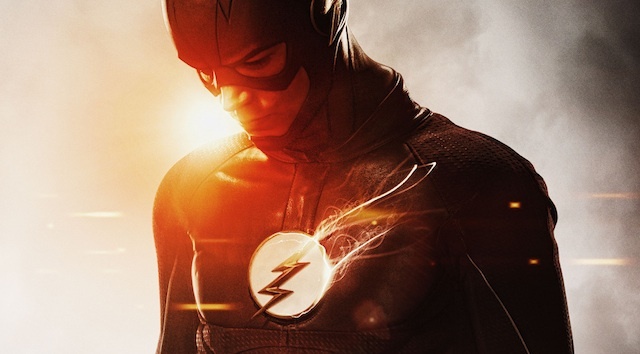 Grant Gustin shows up on the Kent farm, but is he playing an alternate version of Barry Allen, Oliver Queen, or even Clark Kent? 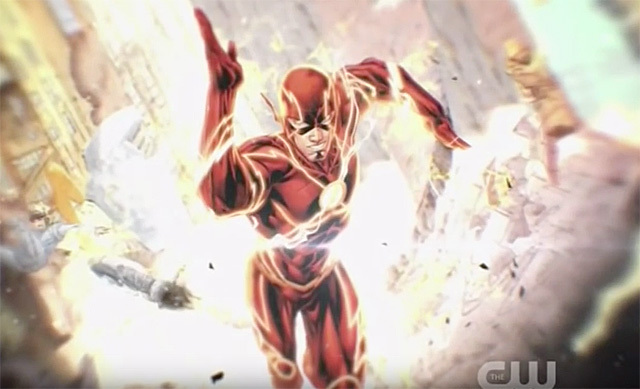 The Flash Costume Gets an Update for Season Two!